Jason Kennedy has worked on E! News as a news correspondent handling a variety of stories and events for the popular television network since 2005. This year, he brought his charismatic personality and hosting talent to the final (and 10th!) Lenny Zakim Casino Night at the Four Seasons Hotel. The Lenny Zakim Fund is a critical charity for many of Boston’s grassroots, community based organizations. So far over 1,200 grants totaling more than $7 million have been donated to local Boston based outreach, advocacy and social reform groups. Rich DiMare had a chance to catch up with Jason and ask him about his philanthropic work and his take on current events. 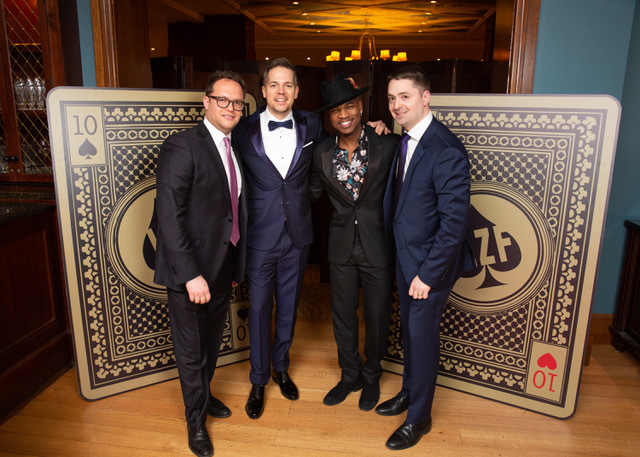 How did you become involved with the Lenny Zakim Casino Night event? JT: I got a call from Bill Rancic. Bill and Giuliana have hosted the event in the past. I was blown away by the work the Lenny Zakim Fund has accomplished over the past ten years. I know this is the last time they are doing Casino Night. I am really honored to be a part of the event this year. Charity work is something that is very important to you. Even with your busy schedule and just coming off the Oscars, why do charities such as The Lenny Zakim Fund mean so much to you? JK: I understand how important charities are to the grassroots organizations and the people they help to support. I wanted to help in anyway and lend my name to it. And if I am also given the chance to be back to Boston and explore the city, meet fun people, and raise some money, it was an easy yes for me. Speaking of the Oscars, Lady Gaga and Bradley Cooper were sitting pretty close on that piano bench. Is there something going on that we don’t know about? Tell us more about your Boston connection. I grew up going to Boston every summer with my family. I remember one of my favorite family memories is when I went to a Red Sox game with my dad and sat behind the dug out. Tom Brunansky threw me a baseball. I still remember it.